SPARTANBURG, SC: William “Will” Woodruff ran into the arms of his Lord and Savior Jesus Christ on Thursday October 11, 2018. He was the beloved husband of Margery Gibbs Woodruff of Spartanburg. A native of Elyria, Ohio he was born November 17, 1940 and raised in California and Idaho. He was the son of the late William L. Woodruff and Olive Hoogenboom Woodruff of Orlando, Florida. After graduating from high school in Boise, Idaho he entered the United States Navy and served as a Corpsman in the Philippines. Upon returning to the United States he completed his education earning his BS degree from the University of South Florida in Tampa, Florida. Will spent the next 26 years working as a registered nurse with Veterans Hospitals in Gainesville, Florida and Boise, Idaho. 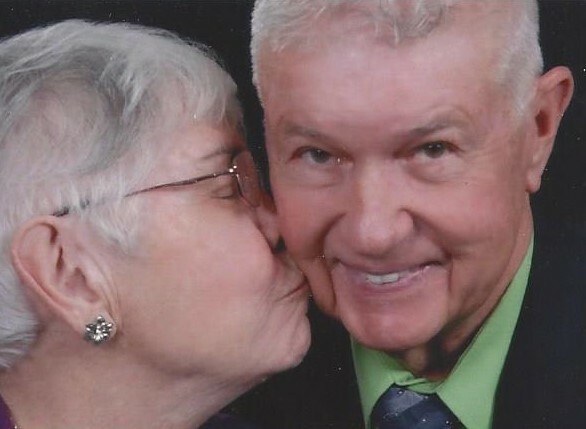 After retirement from nursing he spent many years volunteering with the Lions Club of Boiling Springs, Mobile Meals of Spartanburg, Spartanburg Regional Medical Center and was involved in various ministries of his church. He was a dedicated member of Spartanburg First Baptist Church of Spartanburg, SC. Will is survived by a son, John Daniel Woodruff of Portland Oregon. A celebration of life will be held at the chapel of Spartanburg First Baptist Church, Spartanburg, SC at 2:00 pm Sunday October 14, 2018, with Dr. Don Wilton officiating. Memorials may be sent to Global Missions of Spartanburg First Baptist Church, 250 East Main Street, Spartanburg, SC 29306.